Endorsed with advanced infrastructure and production unit, Dhankot Traders is engaged in offering high grade Hex Long Nut that is manufactured using premium steel and in different diameters, sizes or as per the specifications of clients. These are used along with bolts for clamping purposes. Our ranges are used in various industrial sectors like Automobile, Heavy machinery, Mechanical, Engineering, Mining, etc., owing to which, we are applauded as one of the trusted Manufacturers, Exporters and Wholesale Hex Long Nut Suppliers from Chennai (Tamil Nadu), India. Moreover, our advanced features and high efficiency have attracted thousands of buyers from all over the world. 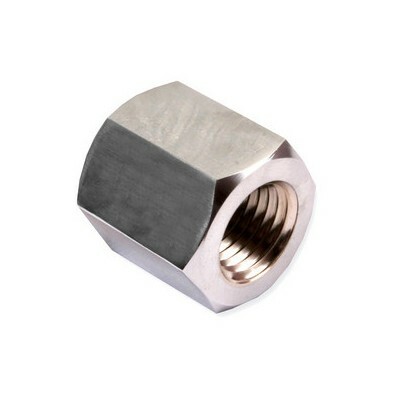 Being a client oriented industry, we offer custom-built Hex Long Nuts that are made according to our client’s choice and preferences. So, we are enlisted as a reliable firm in domestic and international markets as well.